The genesis for an Australian Boer War Memorial in Canberra can be traced to the opening of the Light Horse Interchange at the junction of the M4 and M7 at Wallgrove, Western Sydney in December 2005. The interchange, largest in the nation was dedicated to the Light Horse that had served in World War 1 and had trained between the wars at what was the nearby Wallgrove Army Camp. 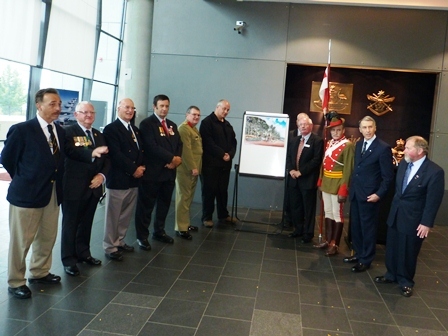 The Royal Australian Armoured Corps Association had contributed detail to be included in a walkway, part of the exchange. 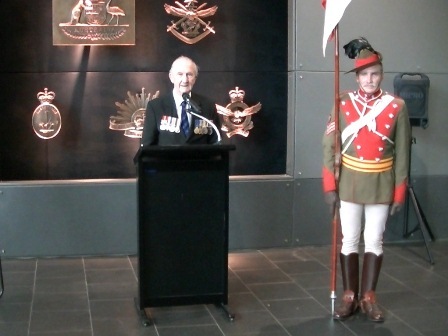 President of the Royal Australian Armoured Corps Association NSW Branch, John Haynes attended the dedication and in conversation with the Prime Minister, John Howard a National Memorial to those who lost their lives in Australia's first war was suggested. The excessive symbolism where the light horse connection is commemorated by 1,600 "statues", each a red (signifying the Army) pipe cut with a slice at the top (indicating a slouch hat), with steel wires protruding from the top (signifying emu plumes) and large signs for those who would otherwise miss the point did not sit well. This was to ensure realism when the design for the National Boer War Memorial was developed. Colonel Haynes was not a man to sit and watch grass grow. Within three years a structure of committees, one national, others in regional cities was established, a site secured in ANZAC Parade, Canberra, a website was in place and a start made on amassing the funds that would be required for design and construction. 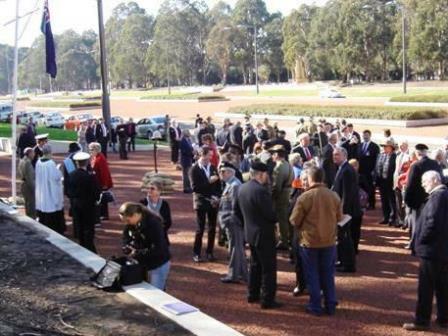 The site for the National Boer War Memorial on ANZAC Parade Canberra was dedicated and the Boer War Memorial Project launched on 31 May 2008 by the Honourable Bob McMullen MP representing the Prime Minister. 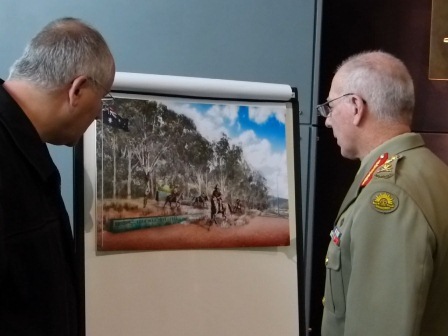 The Memorial design competition brief was completed on 24 August 2009 after meetings with Canberra stakeholders. In October 2009 it was submitted to the National Capital Authority for approval. On Monday, 15 March 2010, the Canberra National Memorials Committee, (whose membership nominally includes the Prime Minister and Leader of the Opposition) endorsed our Design Competition Brief. 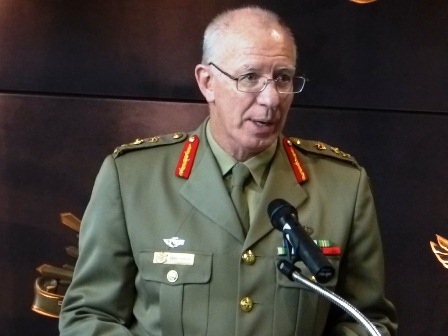 On 7 April 2010, at the Royal Military College Duntroon, Lt Gen David Hurley AC DSC launched our Design Competition. The other speakers at the launch were Boer War historian, Dr Craig Wilcox, and Chairman of the National Boer War Memorial Association Col John Haynes OAM. The process of registration and submission of entries was website enabled. A process designed by the project�s volunteer webmaster and implemented at no incremental cost. It worked well, a shining example of what can be achieved on a shoestring when some major online failures are considered. The firm Beacon Hill, Canberra, were our consultants in all aspects of the Design Competition. Entries closed on Tuesday, 18 May 2010. The designs were evaluated by a special representative jury in camera. A single entry could not be found to meet the jury's requirements. Negotiations then took place with the entry that came the closest to what was envisaged as desirable. The jury for the Design Competition finally met in Canberra in early October 2010 and a recommendation has been made to the Canberra National Memorials Committee for their approval. This did not happen for some time, the Canberra National Memorials Committee pharted 'round so to speak. It was a turbulent time in Australian politics, and key politicians had to be involved. 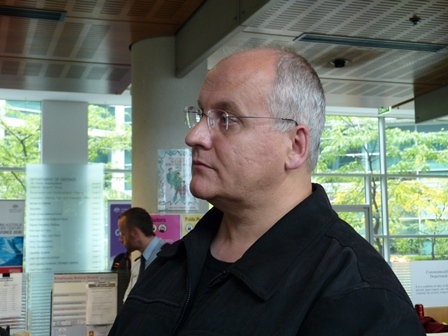 Meanwhile there was a great deal of public interest generated by our website, and newsletters. Many registered themselves as relatives of Boer War veterans on line. These activities and Boer War Day that started in 2010 increased public awareness of the service given by the 23,000 Australian men and women in South Africa. It was not until early 2012 that on behalf of the Canberra National Memorials Committee the Hon Simon Crean MP, Minister for Regional Development, Regional Australia and Local Government, approved the Boer War Memorial design. 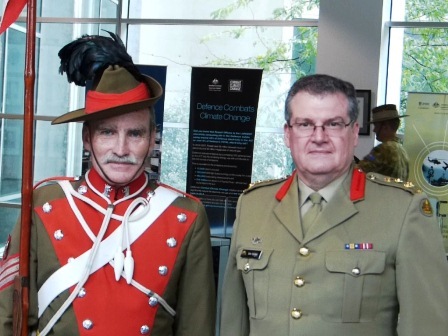 On 1 March 2012 National Patron of the Boer War Memorial Association General David Hurley AC, DSC, Chief of Defence Force unveiled the design in Canberra to an audience of Boer War Memorial Association members, the Press and Sculptor Louis Laumen whose task it will be to bring the design to life. The design was jointly by: Pod Landscape Architecture and Jane Cavanough.